This commercial introduces Panasonic's partnership with UNESCO World Heritage Center to support sustainable development through World Heritage conservation and education. 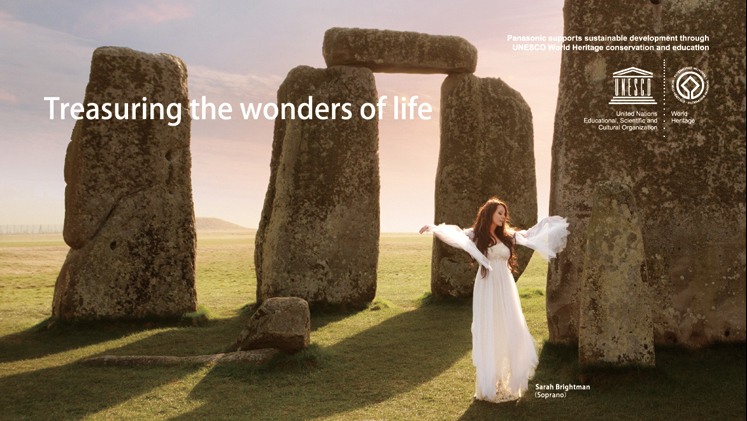 Panasonic's brand ambassador, Sarah Brightman talks about Panasonic's dream for the future of this planet and the everyday lives of people, expressed by her song "Shall be Done". This commercial was seen on the National Geographic Channel in over 180 countries worldwide.